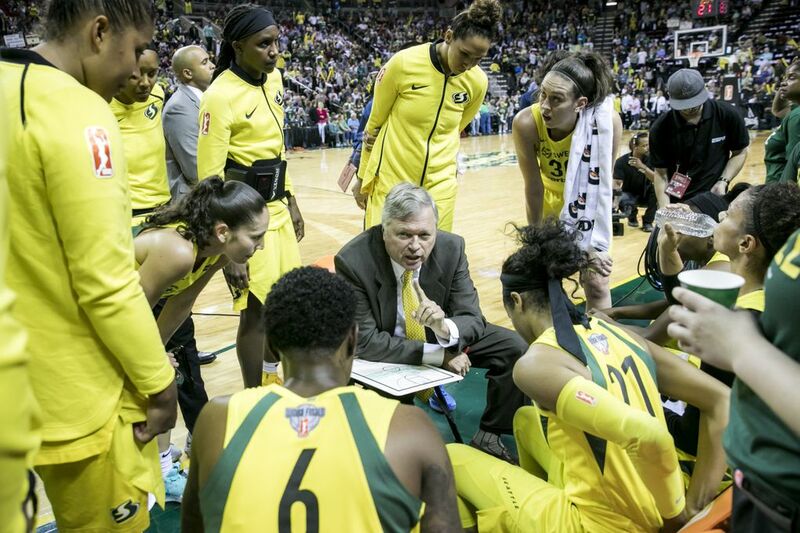 Jewell Loyd scored 23 points to break out of four-game slump and Breanna Stewart added 22 points for the Storm, which shot 54.7 percent and sailed past Washington 89-76. 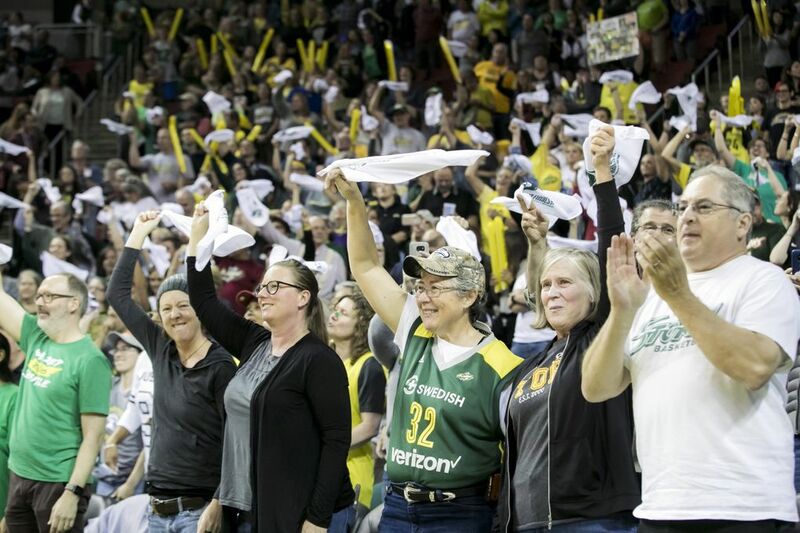 After Jewell Loyd lofted a three-pointer in the second quarter, the Storm guard turned and trotted in the opposite direction before the ball splashed through the net. 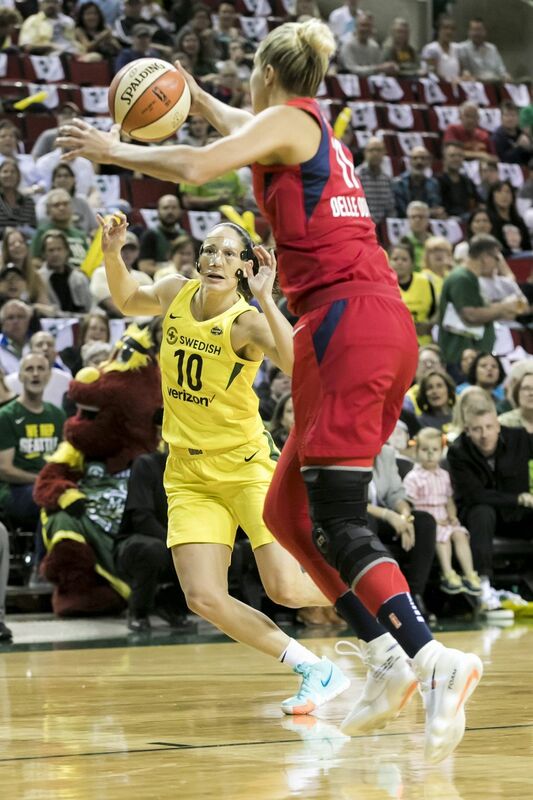 The roar from the KeyArena crowd and the screams from the Seattle bench let her know the shot was good, while simultaneously signaling the end to her four-game shooting slump. 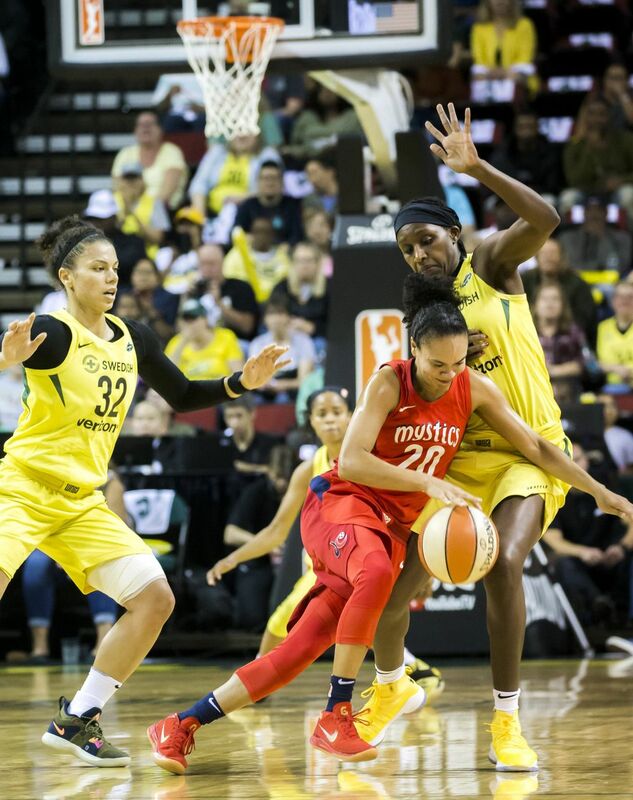 If Loyd, a 5-foot-10 All-Star guard, continues to shoot like she did Friday night, then the Storm might cruise to its third league title just as easily as it trounced the Washington Mystics 89-76 in Game 1 of the WNBA Finals in front of 11,486. 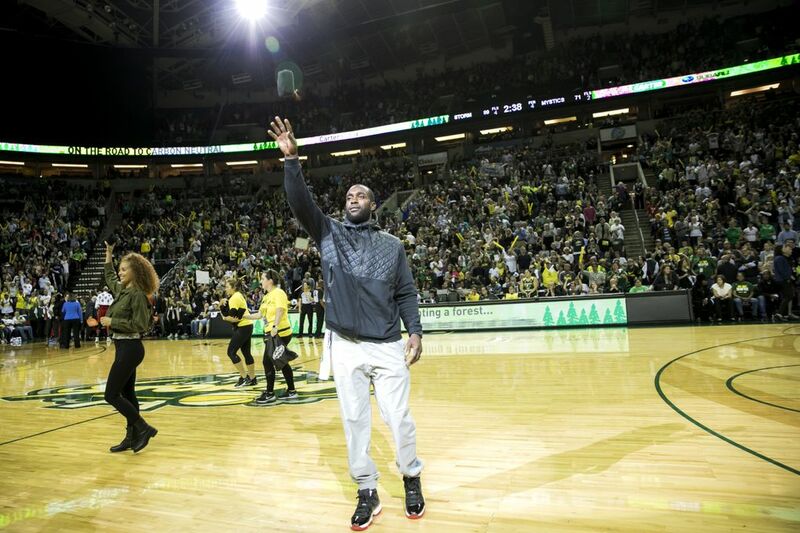 Admittedly, Loyd had a miserable performance in the previous round against Phoenix. 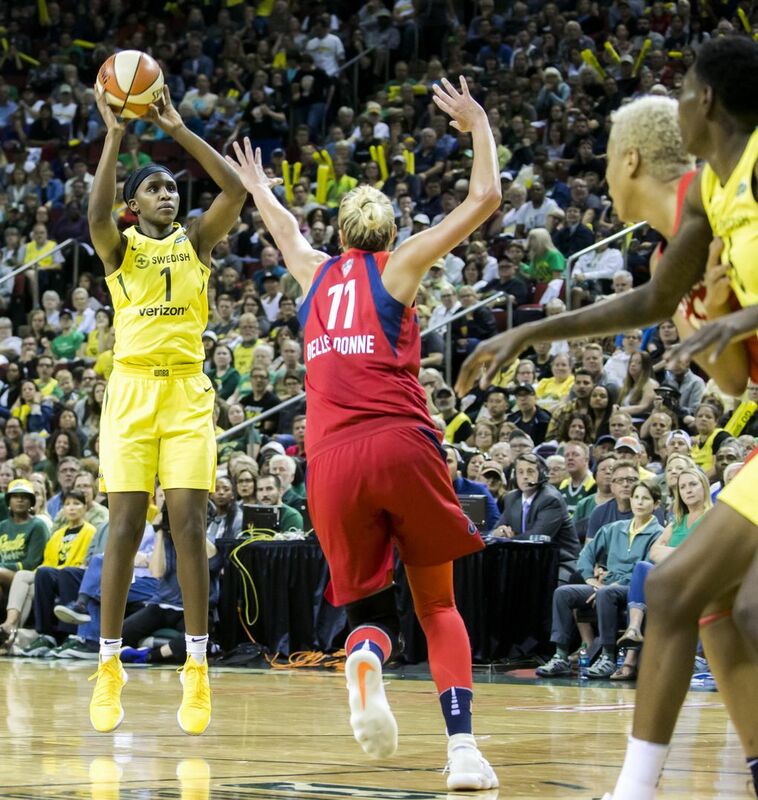 After scoring 23 points in a Game 1 semifinal, she connected on 9 of 36 shots, including 2 of 12 three-pointers in the next four games. 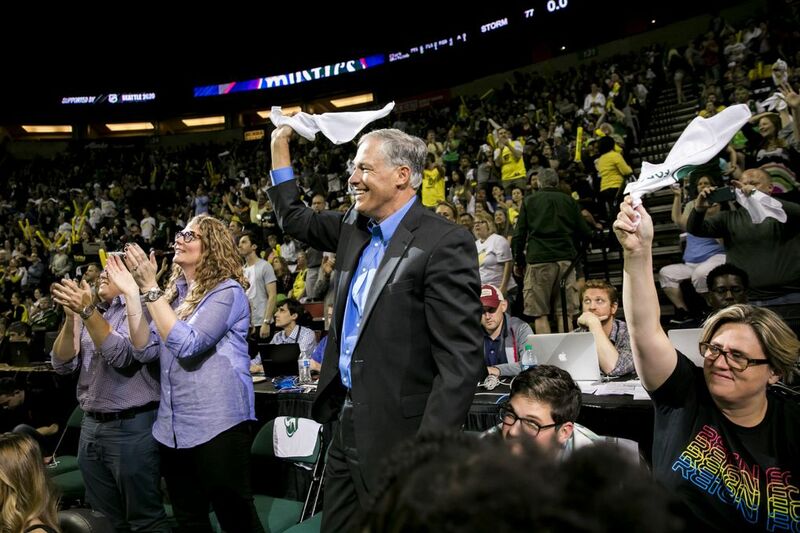 The cold shooting resulted in a fourth-quarter benching in a thrilling 94-84 win over Phoenix in Game 5 on Tuesday. 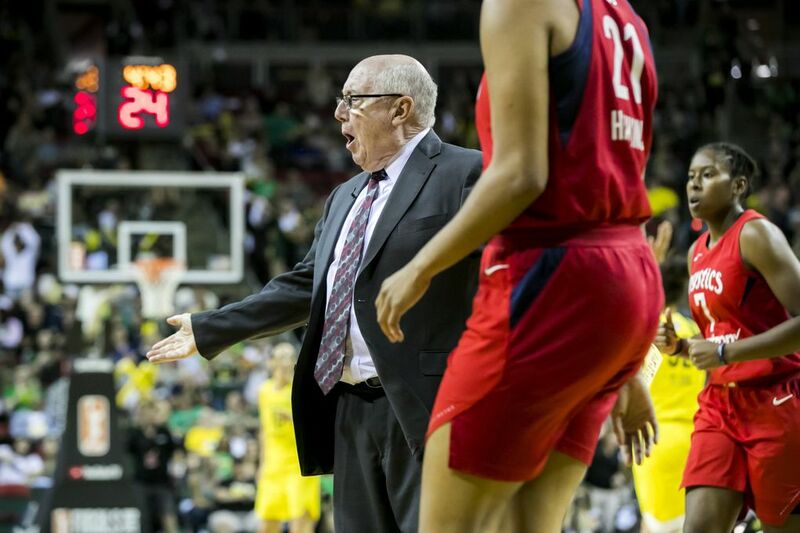 “If you watched Jewell all year, you knew it’s just a matter of time that she’s going to impact the game,” Storm coach Dan Hughes said. 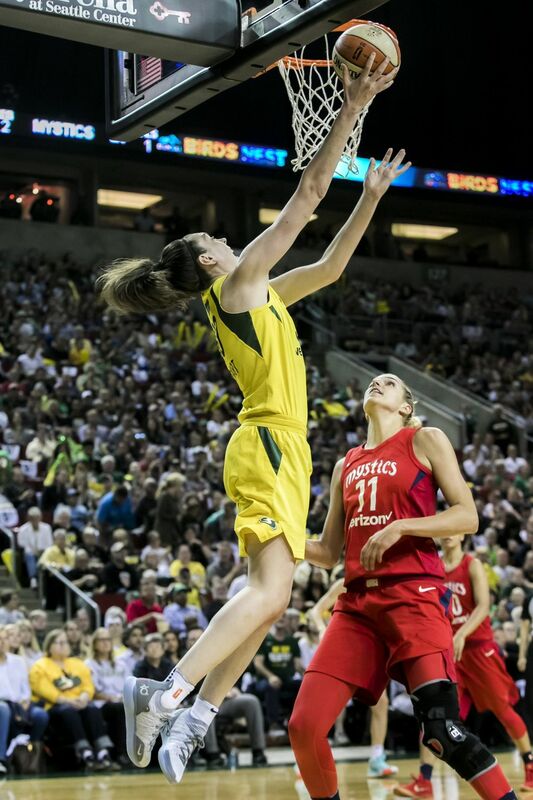 “She’s doing things across the team, not just scoring. She’s rebounding and assisting. 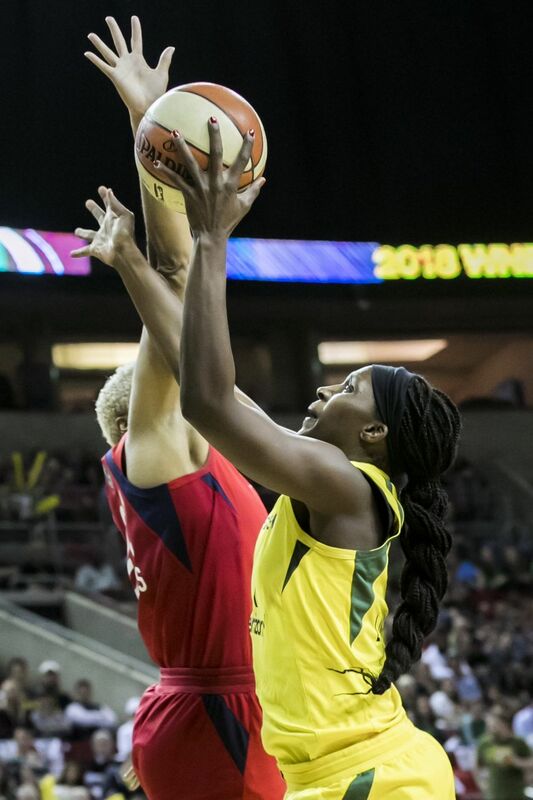 Forward Natasha Howard led the Storm early while scoring 10 of her 19 points in the first quarter to give Seattle a 24-13 lead. 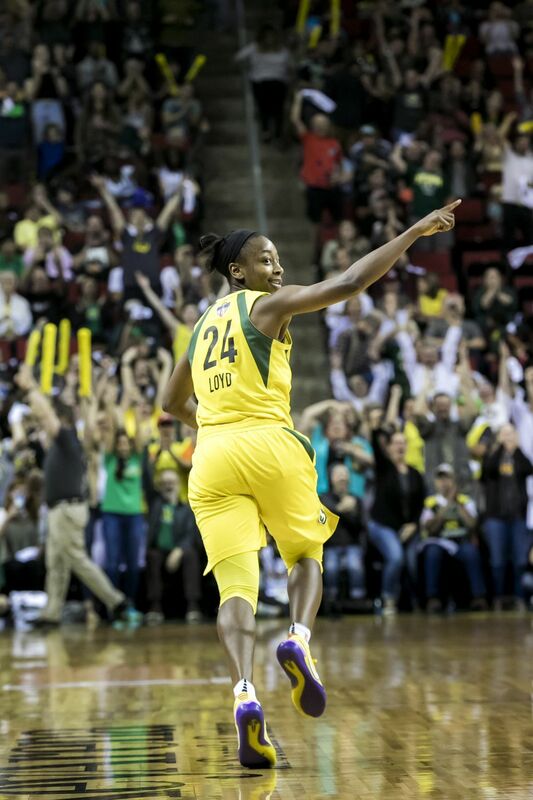 Then Loyd took over in the second quarter with a dazzling 4-for-4 display on perimeter shots, including two three-pointers and two step-back jumpers. 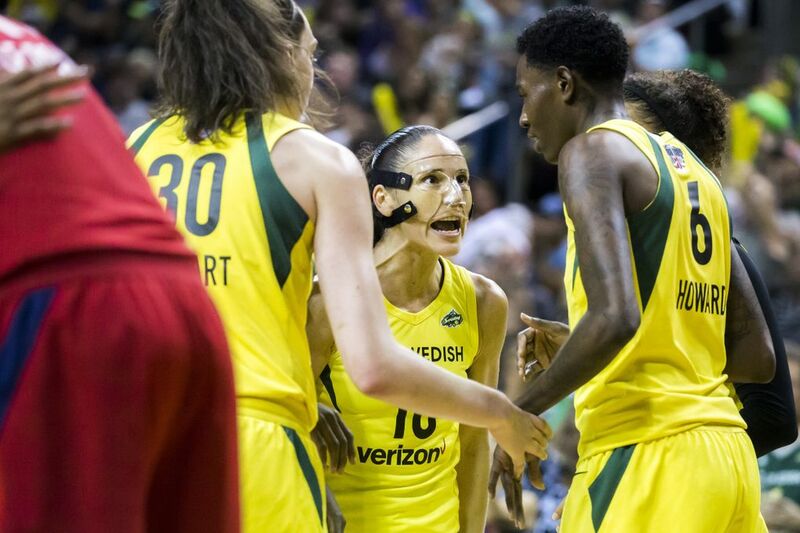 Loyd scored 10 points in the second for Seattle, which led 48-32 at halftime and was never seriously threatened again. 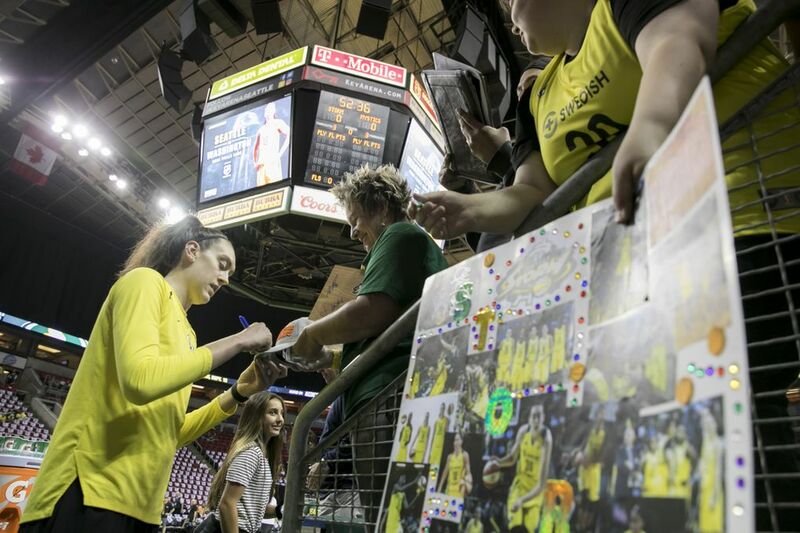 “The ups and downs she had from the last series, she knew we needed her and she wanted to play better,” said league MVP Breanna Stewart, who finished with 22 points and five assists. 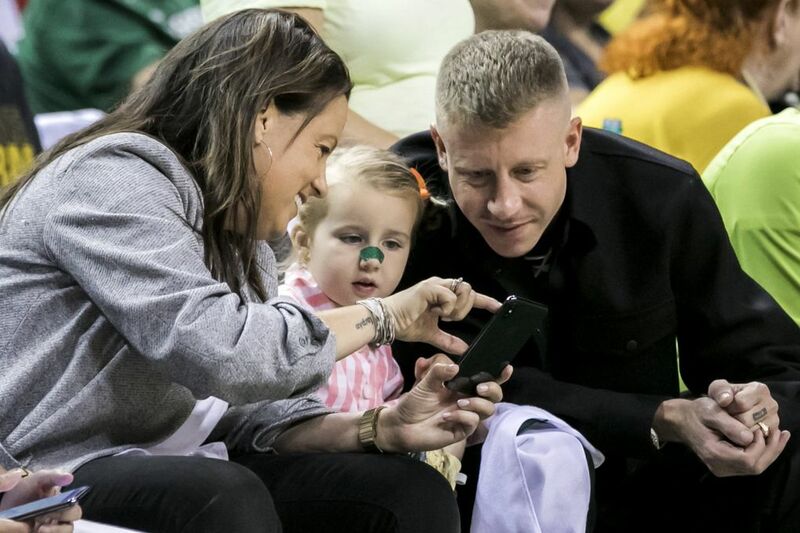 “Yeah, we made it to the Finals, but we need her. She’s one of the reasons why we got here. 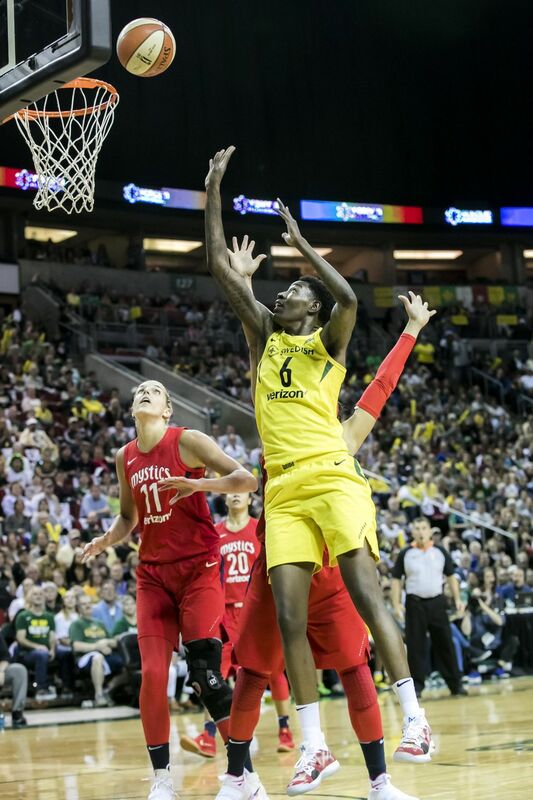 Loyd was at her best defensively in the third quarter when she leapt out of bounds into the courtside seats for a steal and redirected a Monique Currie pass to teammate Alysha Clark. Clark then led a 2-on-1 fast break and dished to Loyd before Currie prevented a layup by knocking her to the floor with a hard foul. 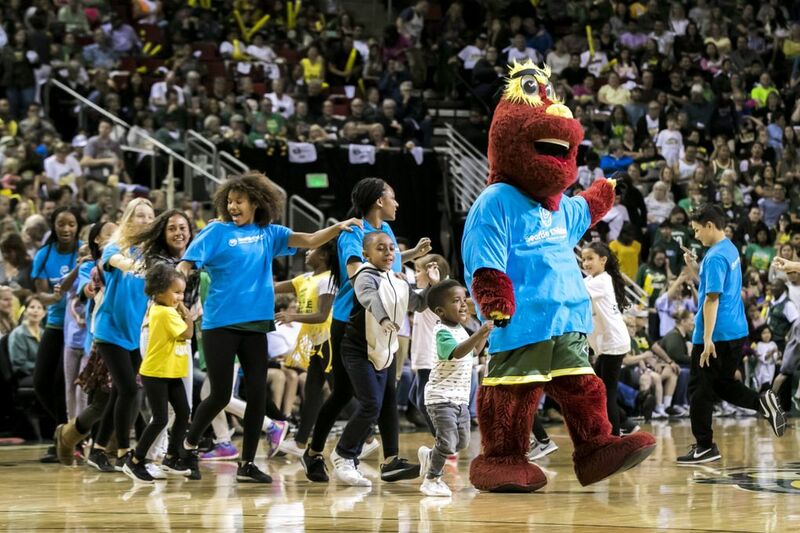 Loyd’s ensuing free throws put Seattle ahead 70-44 with 2:53 left. 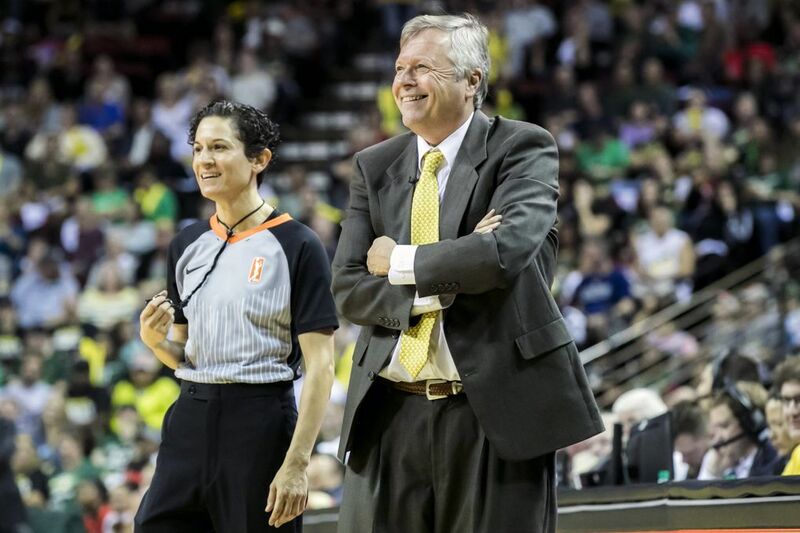 “What I’ve seen in Jewell from Year 1 to Year 4 is you know the bounce back will come,” said Storm guard Sue Bird, who had seven assists. “This isn’t going to be a 2-3 week thing. 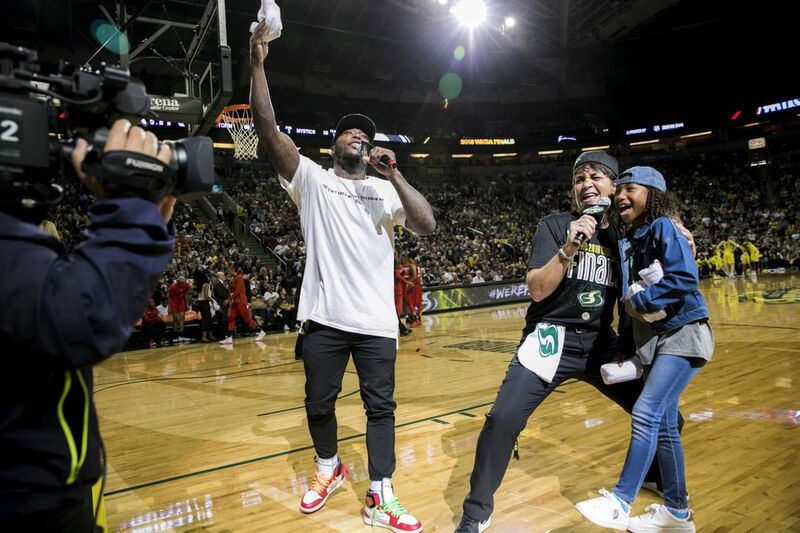 Not that it ever was, but early in her career the bounce back wouldn’t be like we saw tonight. 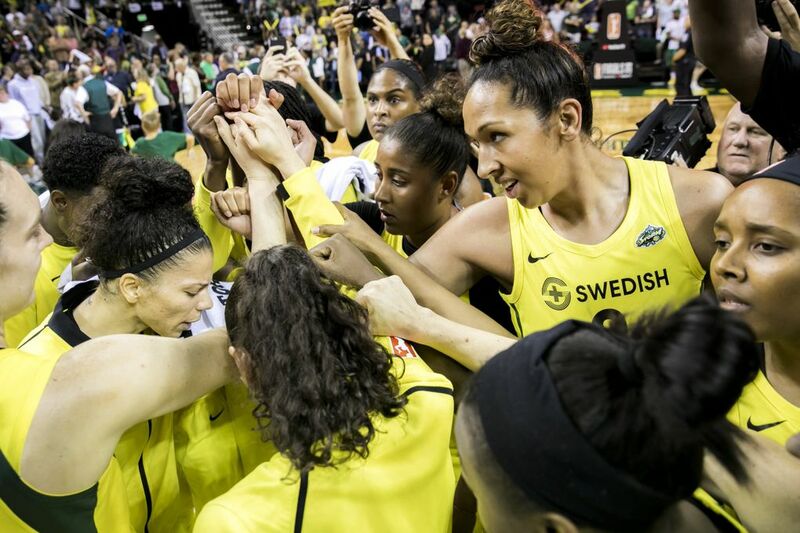 The Storm went up by 27 points late in the third quarter and led 77-53 entering the fourth when Washington used a 14-5 run to cut its deficit to 16 points (83-67) with 5:42 left. 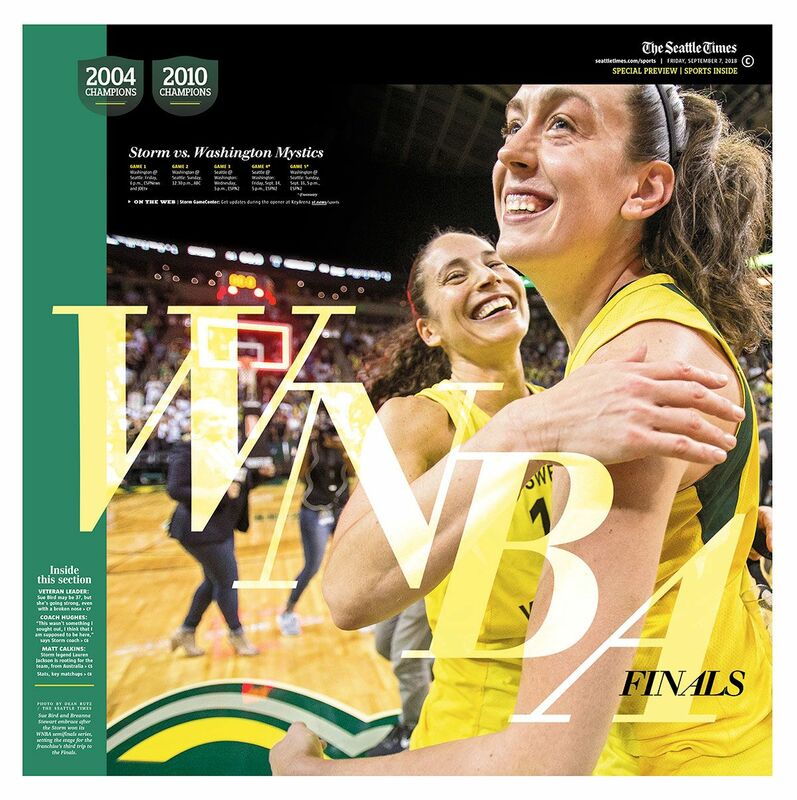 In the semifinals, Seattle often struggled in the fourth quarter to close out games. 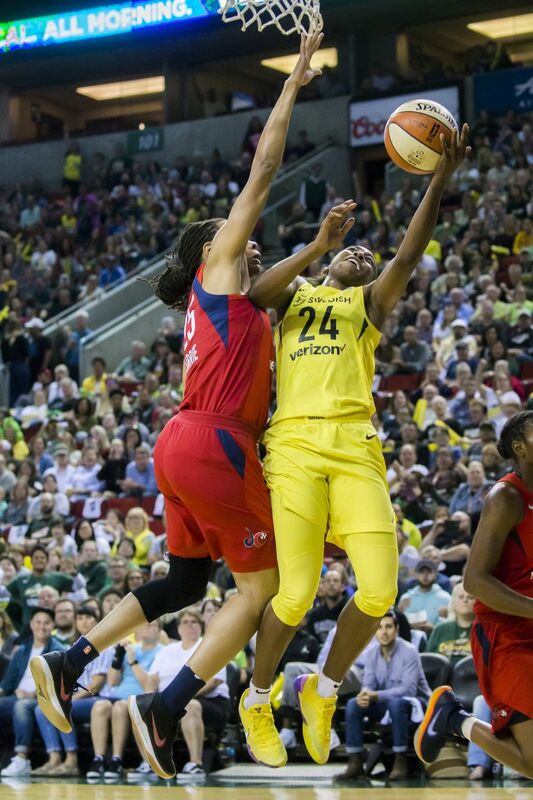 Against a Mystics team that beat the Storm by 23 points in their last meeting, Seattle didn’t allow Washington to get any closer than 16 points before the starters left the game with three minutes left. 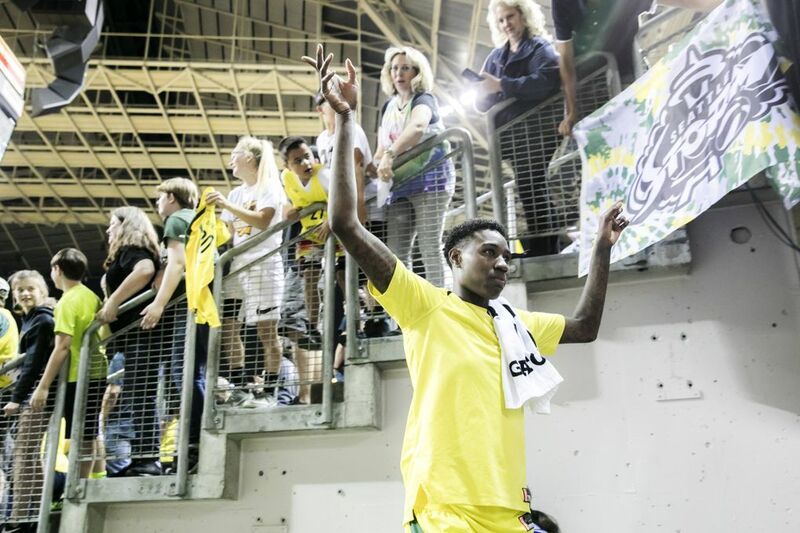 It was nearly a perfect game for the Storm, which had 23 assists on 35 baskets and shot 54.7 percent from the field. 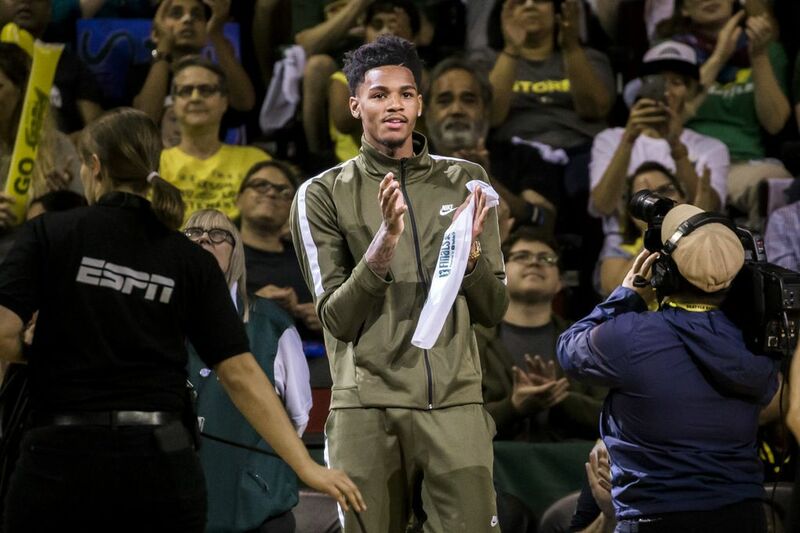 The rookie forward led Washington with 23 points on 10-for-14 shooting. 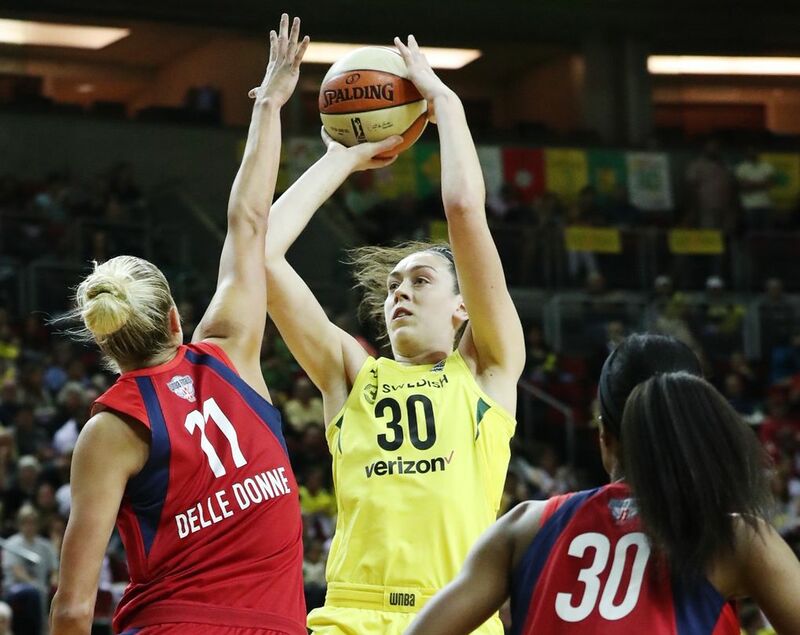 Meanwhile, Mystics All-Stars Elena Delle Donne (10 points) and Kristi Toliver (5) combined for 6-for-22 shooting. 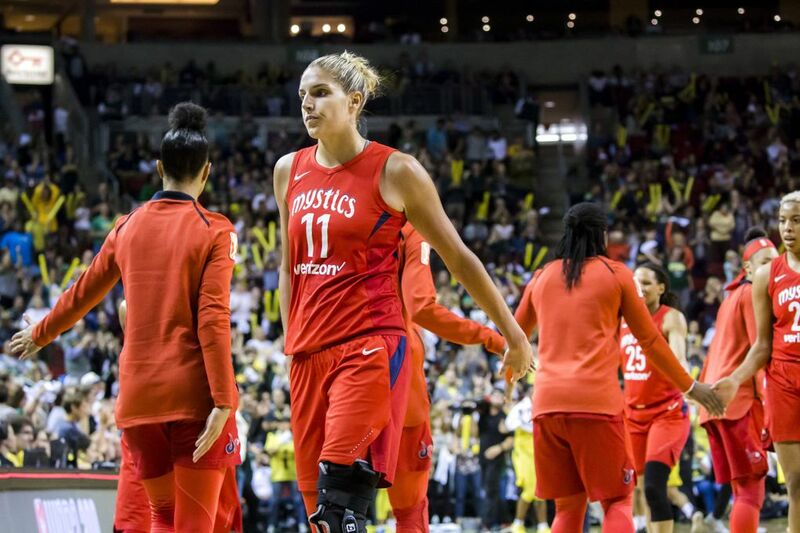 “Excuses are for losers,” said five-time All-Star Delle Donne when asked about her left knee that she injured in Game 2 of the semis. “If I wanted to be 100 percent, I wouldn’t have come back. I knew coming into this thing I was going to have to figure out a different way to play. Game 2 of the best-of-five series is at 12:30 p.m. Sunday. It feels as if the Storm has a bigger lead than 1-0 after Friday’s lopsided win. 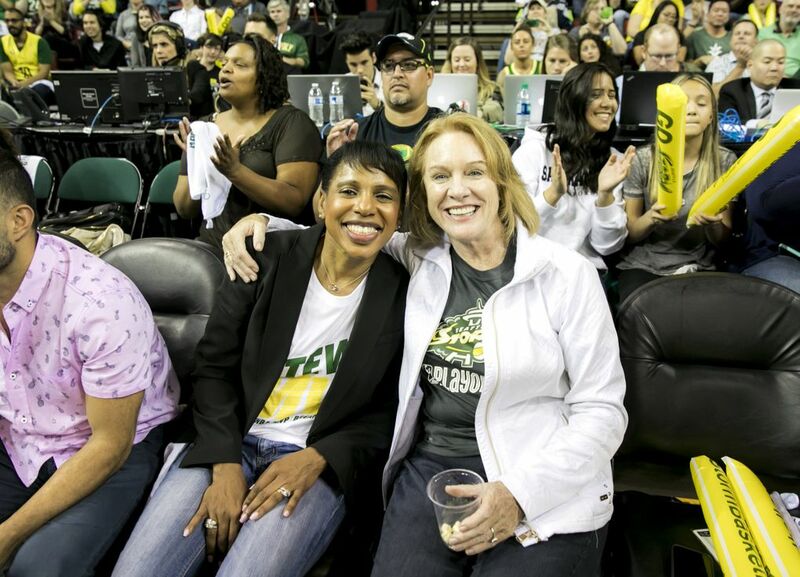 “Washington is not done and we know that,” Loyd said. “We learned from the last series that it’s more than one game. There’s going to be some ups and downs.